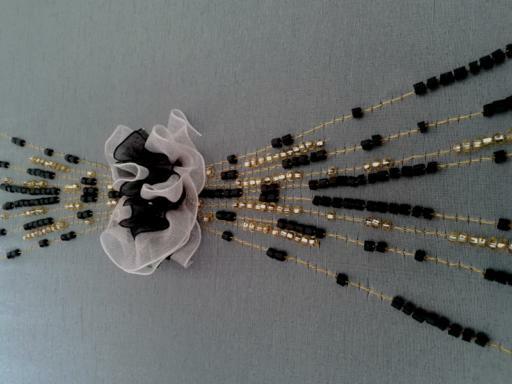 Its brand JAWHARA CREATION for its cocktail dress and evening dress created by fashion designer of the haute couture embroidered little black dress. Prices "JAWHARA CREATION" is in the minds of key criteria and ethical values of the label "ISO 26000". 1 - Sustainable and ethical values : Our brand has insurance very good working conditions and a top-notch compliance on limiting CO2 emissions has the advantage of being close to Europe. In addition, each model comes with a care label advising to use a pressing ecological system using a "aqualavage" with biodegradable products and consumer very little water. 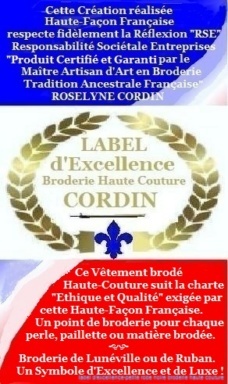 2 - Quality, Durability: Our models follow a code of excellence we have created "LABEL COUTURE EMBROIDERY" based on three essential elements: skills, respect for the legacy of French cultural heritage, respect for high quality for a sustainable product, and not "disposable"! Designed in Tunisia: Tunisia is our sourcing and due to this, we pass the exemption from our host on the price of our workforce Haute Couture Embroidery : since 7.50 €. We do respect our privacy less work of excellence, and we keep the quality of our hands "High-French Way." We guarantee our customers the true TRANSPARENCY our sourcing. November 3, 1993 : Creation of the Company Sweet Embroidery as Head Industrial Embroidery business. Where the self-taught course work and passion sow experience on the road to the craft. November 6, 2001 Title "Artisan" by the Chamber of Trade of the Charente. 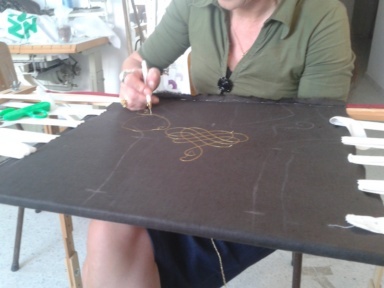 Since October 2002 : Monitoring training couture embroidery hand-embroidery-Lunéville and subsequently, training courses for Embroidery Lunéville. 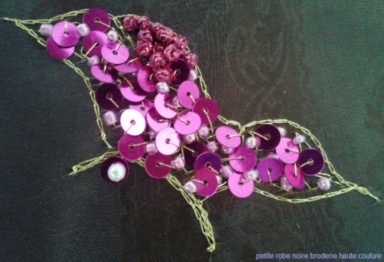 The aim is to acquire the technique of embroidery hook for placing beads or sequins and embroidery ribbon. April 5, 2005 Title "ARTISAN ART" awarded by the President of the Chamber of Trade of the Charente. 06 MARS 2006 Assignment Title "MASTER ARTISAN ART" in EMBROIDERY "by Mr Prefect of the Poitou-Charentes Regional Commission and Skills, and President of the House of trades Charente. * Expert with the Commission Regional Qualifiers credentialing Master Artisan representing my profession. * Secretary of the Union of Professional Union of Artisans of Fashion (UPAM) of the Charente. * Member of the C.N.A.M.S. within the commission "SOCAMA" Banque Populaire and the Chamber of Crafts of the Charente to validate records of financial support for artisans. * Member of the Association Female (AF 16), Association for valuing the business work and manual artisans and craftsmen joint. 26 October 2007: The couple Roselyne-creates Yannick Company "SWEET EMBROIDERY" in Tunisia, Sousse, and settled permanently in March 2008. The 1972 law totally exporting company specialized in warp and woof, very small series, patterns, hand embroidery haute couture embroidery industry. Embroidery and Ribbon Lunéville is an outstanding work whose technique is protected by SWEET EMBROIDERY Tunisia and Morocco. Currently, a plan of textile innovation and excellence charter Embroidery Haute Couture label is in preparation, and we are working with Tunisian ministries proper to install seriously, in full respect of its original tradition and culture, this craft rare French art. In seventeenth century, many artisan embroiderers were installed in Luneville, where one of the residences of the Dukes of Lorraine. 1810, with the intention to imitate some lace of Flanders, Bruges, Venice and become better known in differentiating these embroiderers invent POINT LUNEVILLE ", an embroidery technique on tual, lightweight fabric, by creating a "chain stitch" to start the needle. Then in 1850, embroiderers replacing the needle with embroidery crochet, to embroider the "chain stitch" with a great speed. 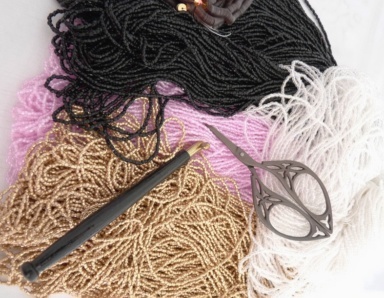 1865, Louis-Bonnechaux Ferry is the first embroiderer Lunéville to add beads and sequins when making their chain stitch crochet. 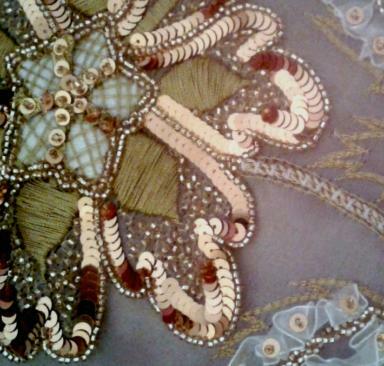 This innovative technique of Lunéville embroidery causes a boom, and is used to make beautiful evening dresses ennobled sequins and shiny beads. In 1875, jet black made ? ?a dramatic entry into the world of embroidery hook, followed in 1891 by the glitter lighter and much brighter that will revolutionize the world. In 1929, an economic crisis will affect the serious occupation of Lunéville embroidery and causes the closure of many businesses, the mechanization of embroidery. 1939-1945 World War II delay, also, the return of this art, which only sees the revival in 1950, by moving the fashion accessories beaded and sequined and returns to the mode. 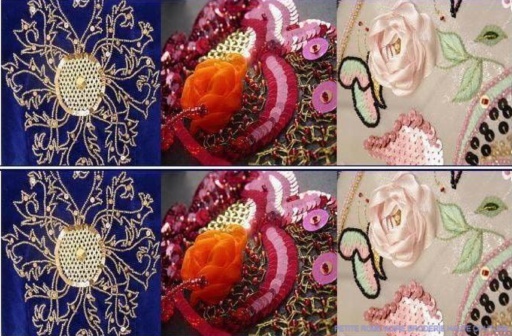 Fashion, Haute Couture, which will live Embroidery Lunéville, despite the cost of labor which is the very opposite of the application of the "bargain prices" by globalization.